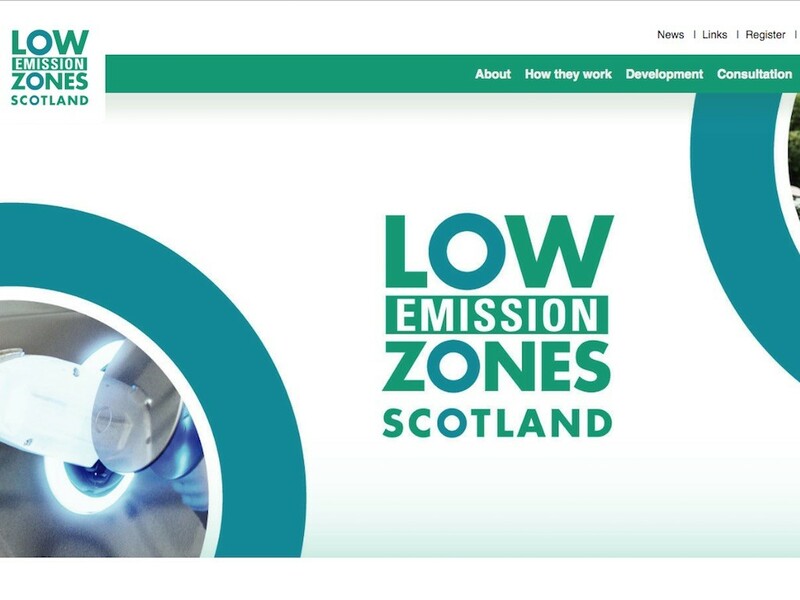 Transport Scotland has launched a new website to provide national information on Low Emission Zones ahead of the launch of the first scheme at the end of this year in Glasgow. The Scottish Government has committed to introduce low emission zones into Scotland’s four biggest cities – Glasgow, Edinburgh, Aberdeen and Dundee – between 2018 and 2020, with the new Transport (Scotland) Bill introduced in Parliament on 8 June 2018 enabling the Government to set common standards on areas including penalties. Each city is at a different stage of development, with Glasgow’s low emission zone due to come into effect for buses on 31 December 2018 and for all other vehicles at the end of 2022. Low emission zones will be introduced into all other Air Quality Management Areas (AQMAs) by 2023 where evidence shows they are the appropriate option to improve air quality. Already, a total of £518k has been awarded to Dundee City Council, City of Edinburgh Council and Glasgow City Council to support work to introduce LEZs. For the public, a new website – www.lowemissionzones.scot – has also been launched to provide national information on LEZs in Scotland. The website explains what LEZs are, how they work, how they are developed and provide answers to a number of frequently asked questions. It will also be updated as work on the zones progresses.